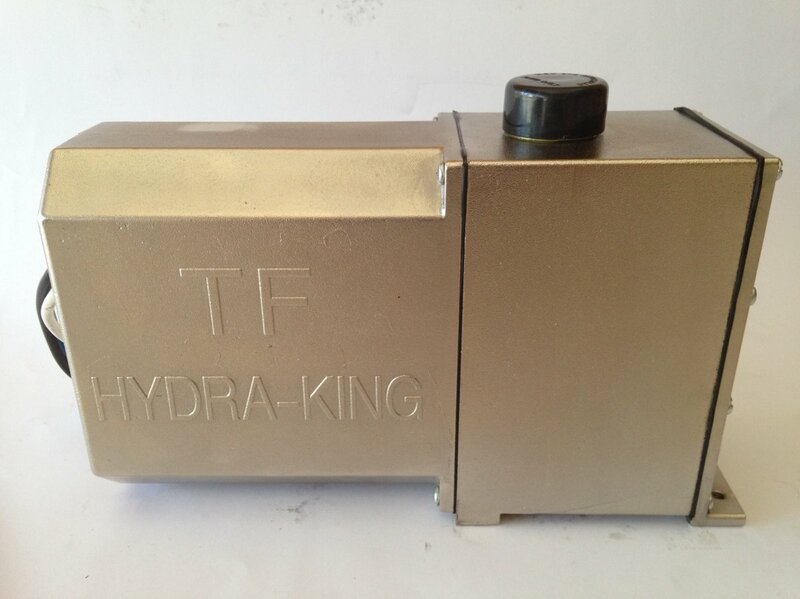 The TF Hydra-King is a high quality, Australian built, braking actuator suitable for boat trailers, caravans, and various other trailers rated over 2000kg (ATM). 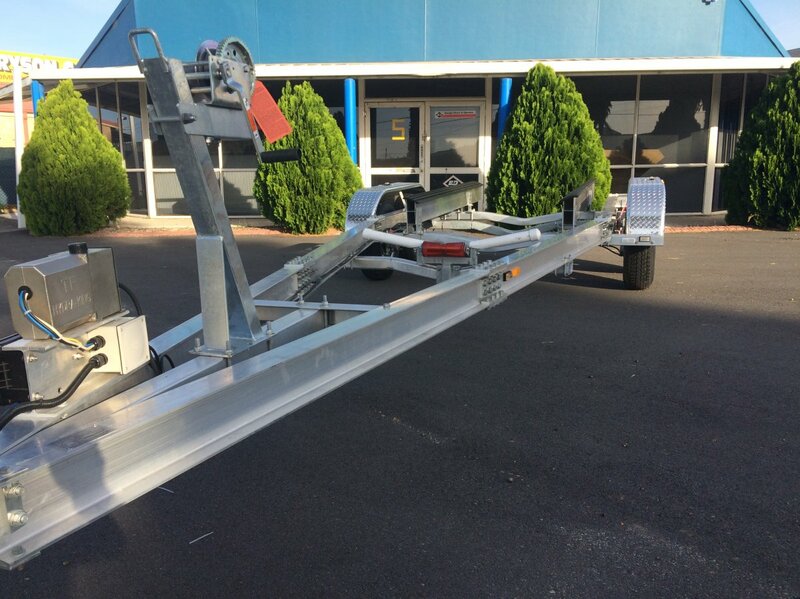 It is rated to 1600psi and can be used for single axle, dual axle, and triple axle trailers and caravans. 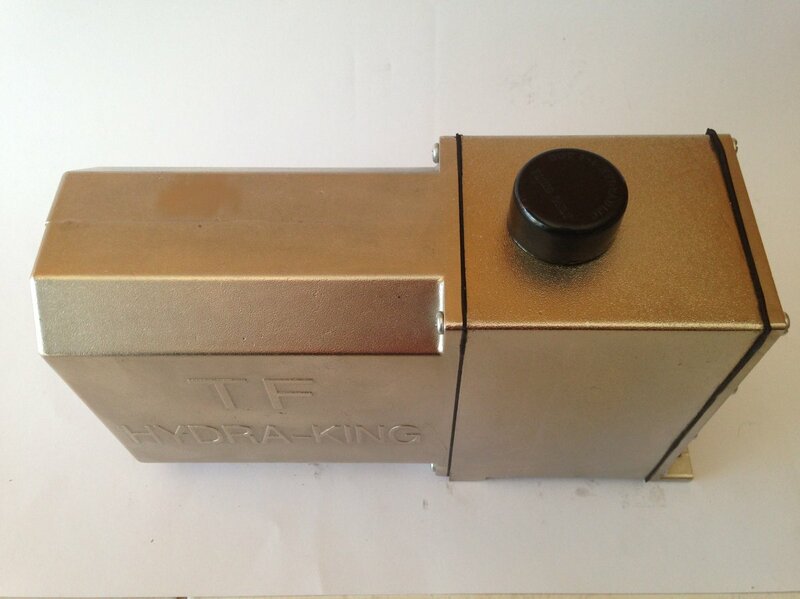 The brake actuator is a compact unit measuring only 255mm long, 84mm wide, and 150mm high. 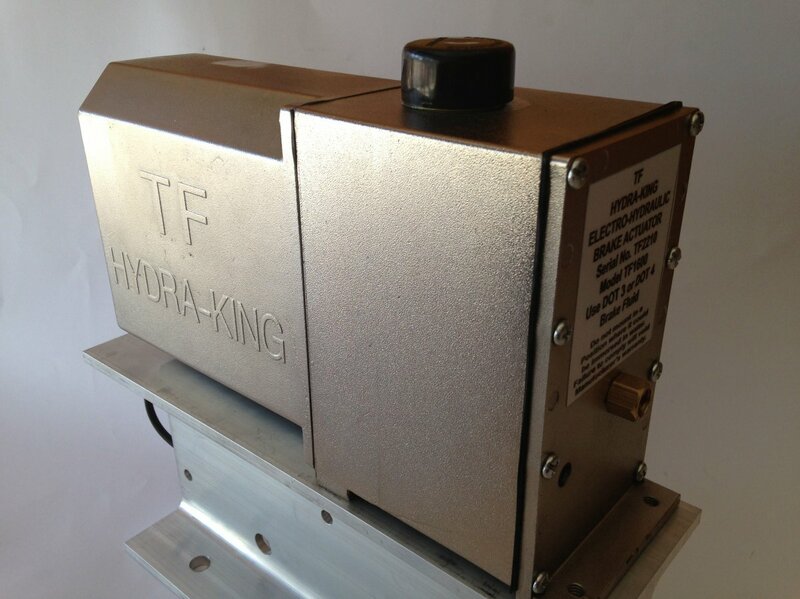 The actuator comes with an optional alloy mount and fixings that provide space for your battery backup unit and wiring junction box. 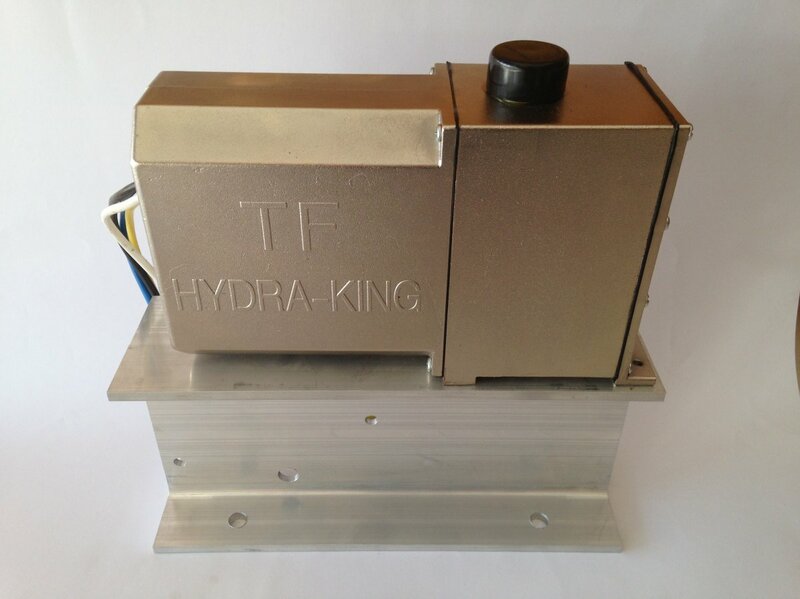 It also keeps the brake actuator high and dry when mounted on a drawbar or chassis. The unit comes with a 1 year warranty from the date of purchase. 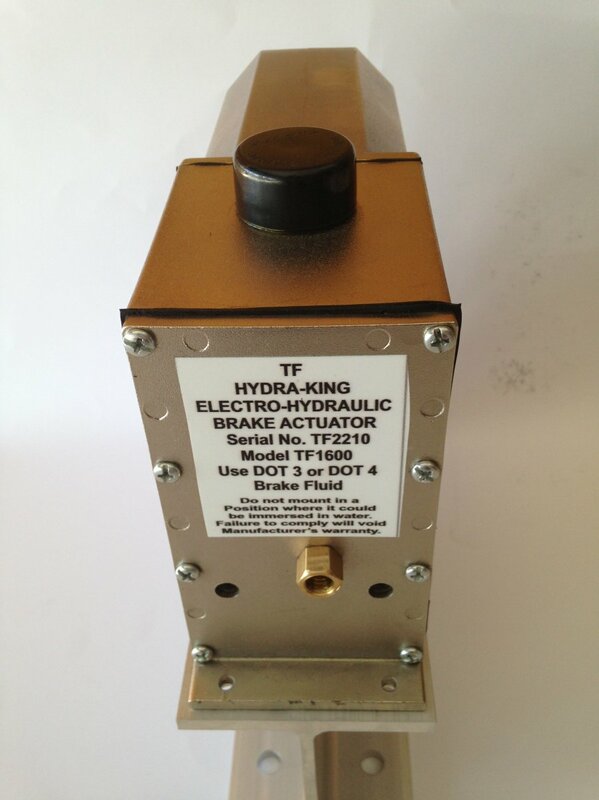 Please note: as with all brands of electro-hydraulic actuators, time based in-cab controllers are not allowed and will void the warranty of the actuator. Proportional controllers allow the actuator to stop pumping when the trailer is stationary, such as when you are stopped at the lights, which avoids any potential damage to the actuator. 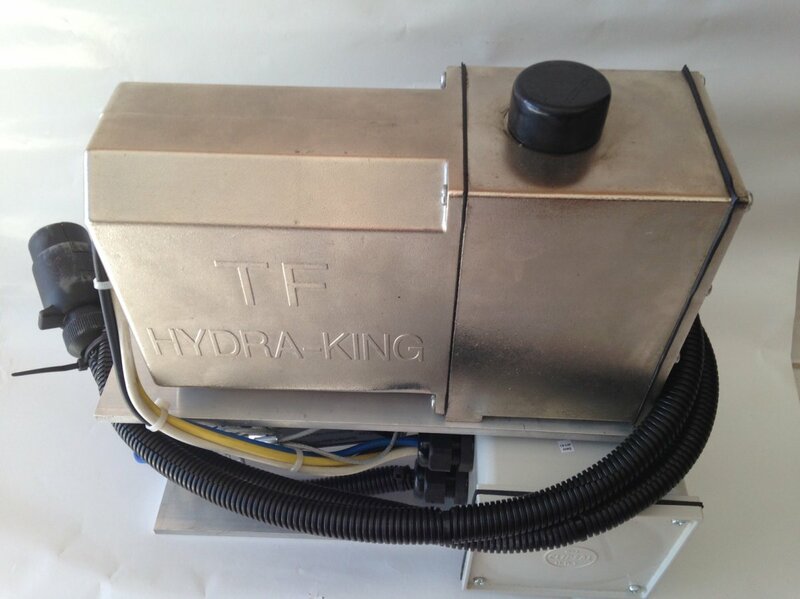 The Hydra-King will work with all proportional/digital In-Cab Controllers such as: Dexter Predator, Hayes Genesis, Endeavor, Energize XPC, Energize III, G2, Tekonsha P3, Primus IQ, and Prodigy. o All components fitted and wired into the module. 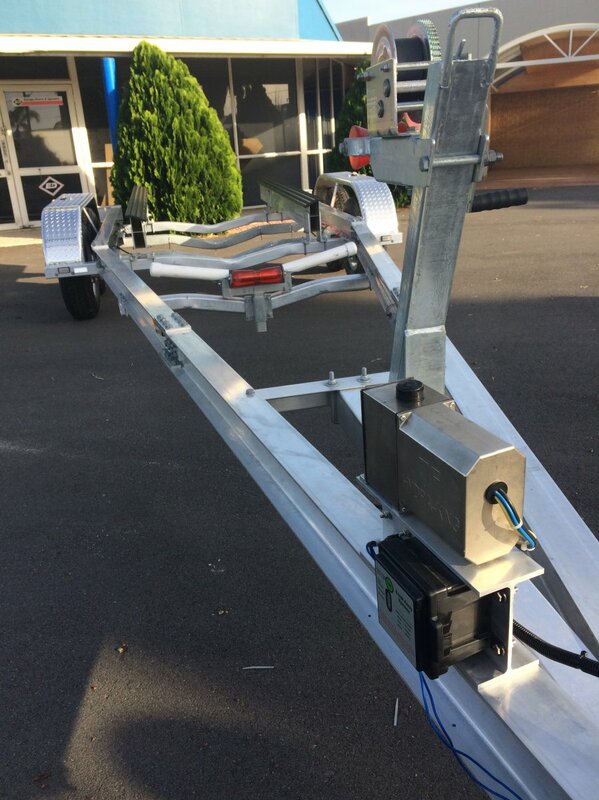 The only thing required is to mount the module to the trailer or caravan, connect the lights into the junction box, and you're ready to go.